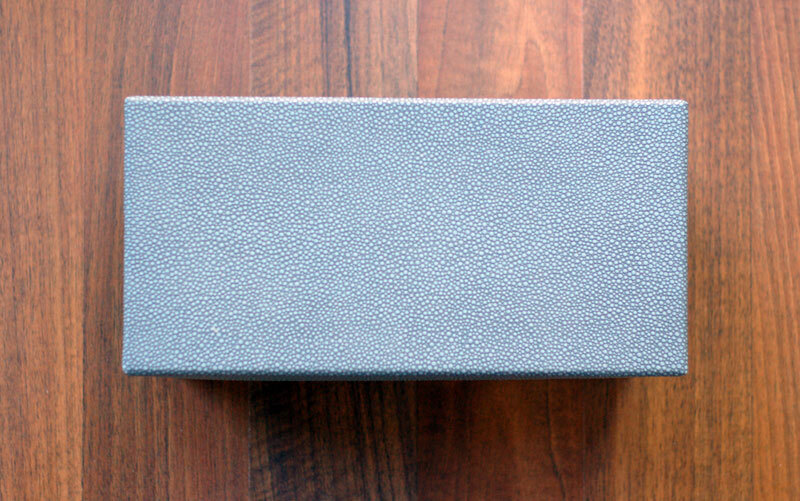 The Memory Box is an archive of past text messages sent between my wife Lisa and me. 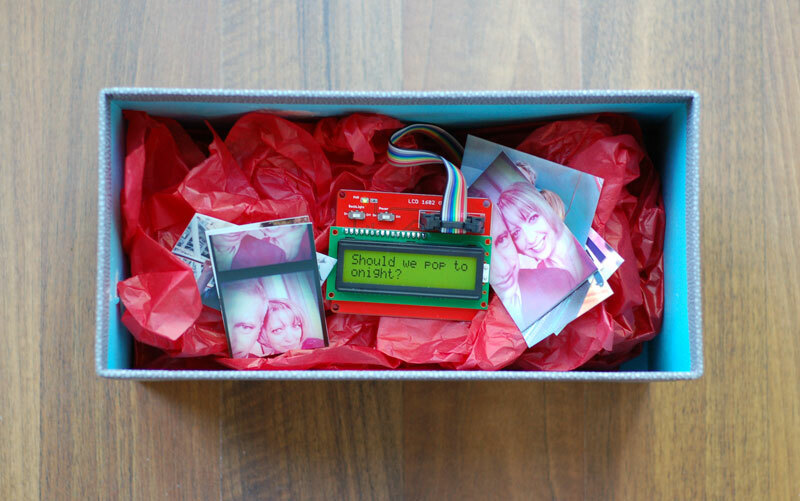 On opening the box a tiny LCD screen springs into life and shows randomly chosen archived text messages. Each time the box is opened the text messages are randomised. Due to the nature of SMS messages they are all too transient and throwaway; we send these messages into the ether where they fade away over time. 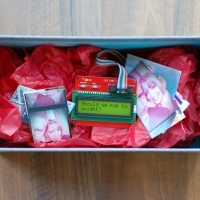 The idea of a Memory Box is an attempt to a make a physical storage box for digital messages.